The Buckeye Valley Alumni Band is celebrating its 30th anniversary with a special event this Sunday. Miss Ohio 1966, Sharon Phillian Lombardi, will be performing with the band. Phillian Lombardi, accompanied by the BV Alumni Band, will perform “This Is My Country,” the song she performed in the Miss America Pageant. The concert will begin at 7 p.m. Sunday, July 5, at the Bicentennial (Gazebo) Park to kick off the “Harmony In The Park” series. She will also be performing other patriotic numbers and selections from Broadway musicals. 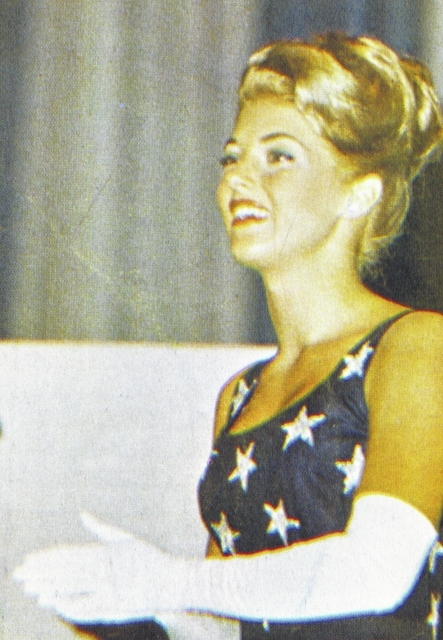 In 1966, she asked the Buckeye Valley High School marching band to represent the state of Ohio and accompany her to the Miss America Pageant in Atlantic City. The Buckeye Valley band was the only band to remain the entire week of the pageant. The pageant organization asked the band to give nightly concerts on the boardwalk in front of Convention Hall. The band members were special guests each evening in Convention Hall. Phillian Lombardi was the third runner-up in the Miss America Contest in 1966. She won top honors for the talent portion of the competition. Phillian Lombardi and her husband live near New Orleans. Her son, Robert, and his wife, Kathy, both play in the Buckeye Valley alumni band. Over the past 30 years, the BV Alumni Band has participated in many parades and community festivities. They play annual concerts at the Gazebo Park and the Delaware County Fair. “We are especially proud to provide the patriotic music for the Delaware County Veterans Day Ceremony,” said Tom Kaelber, one of the founding members of the alumni band and the current president of the Buckeye Valley school board. “We are honored and privileged to have Sharon perform with us for our 30th-year anniversary,” he said.